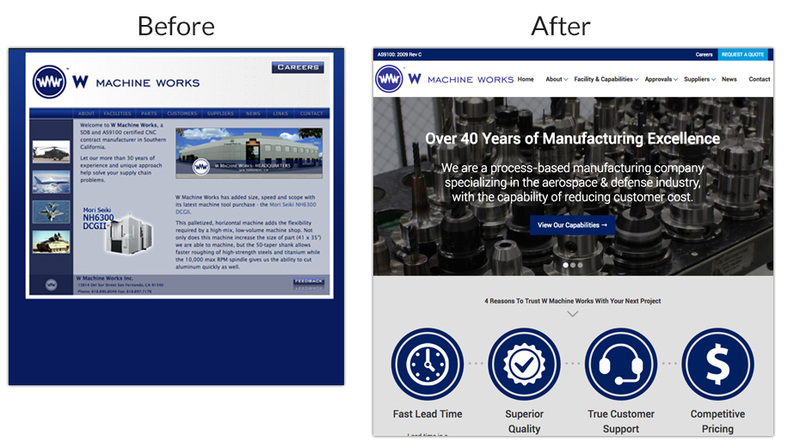 W Machine Works hired Infinite to create a modern, professional website to display its capabilities and brand heritage as a leader of manufacturing in the aerospace and defense industry. 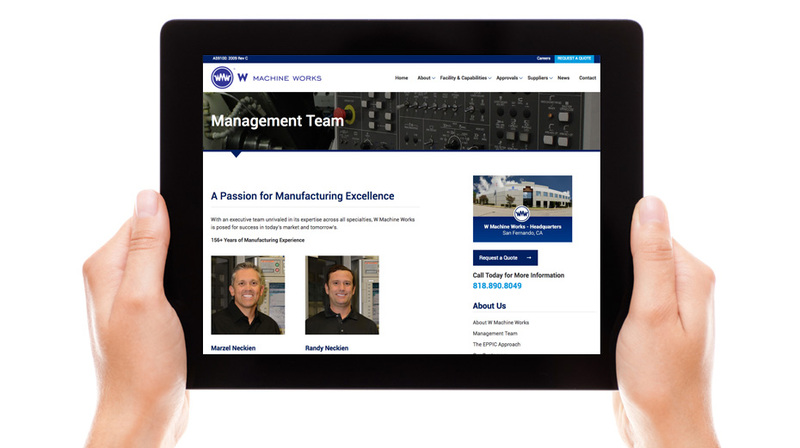 W Machine Works is a process-based manufacturing company specializing in the aerospace & defense industry, with the capability of reducing customer cost. 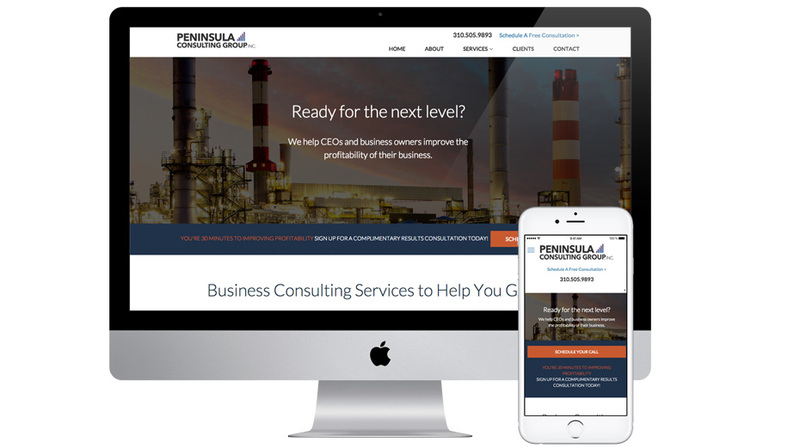 Peninsula Consulting offers business consulting services for the Industrial Gas Industry and Industrial Distribution industries. Marketing experts claim that an estimated 92 percent of consumers base their purchasing decisions on online reviews. The increasingly savvy consumers are relying on social media platforms and third-party review sites, such as Facebook, Yelp, and Google+ to read reviews, parse out provider information, and get updates on the latest trends in order to make more informed choices when selecting a provider. More than ever before, businesses have to be proactive in managing their online reputation to make sure that their practice portrays a positive image to their audience. This will, in turn, ensure the loyalty of your existing clients, get you new patrons, and help you achieve your long-term business goals. If you, however, continue to ignore any negative online reviews of your practice or fail to engage with your customers and prospects, you will be viewed as untrustworthy, which will make it hard to convert your visitors. Social media is one of the most powerful digital marketing tools available today. With over 1.8 billion active members in the different social media networks – Facebook, Twitter, Pinterest, etc. – having a presence on multiple platforms can increase your reach within your region considerably. Social media and third party review websites work hand-in-hand, since most people prefer to post reviews and comments using their personal social media profiles. In turn, these comments (like on Facebook or Google+) show up on the News Feed of the reviewer’s family members and friends, who may respond by “Liking” the review or even adding their own comments to the chain of comments already made by other people. With such an elaborate sharing structure, a single review made via social media can grow your reputation exponentially through “Likes”, “Shares”, and comments. If the review is a positive one, you can easily reach new prospects and grow your conversions. Marketing experts claim that 80 percent of consumers consider online opinions as if they were personal recommendations from a close friend or family member, which are said to influence consumer decisions more than online ads. 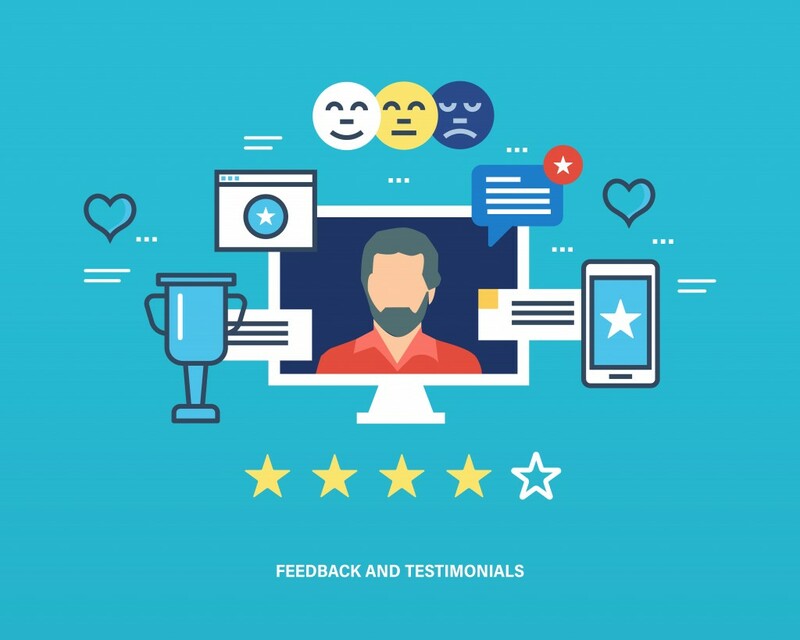 This means that positive online reviews by your satisfied clients can easily reach other prospects beyond their circle of family and friends on social media. For instance, someone searching for your services in your area can come across your positive review and be influenced to try your practice. Positive online reviews not only give prospects a reason to choose you, but also give Google and other search engines a reason to list you at the top of SERPs for local searches in your industry. At this point, you don’t need convincing that consumers rely heavily on online reviews. And since search engines are in the business of giving searchers the most relevant results based on the search query, they love online reviews too. In fact, online reviews account for nearly 10 percent of search engines’ ranking factors. Search engines take into consideration what consumers find to be valuable when ranking local webpages. 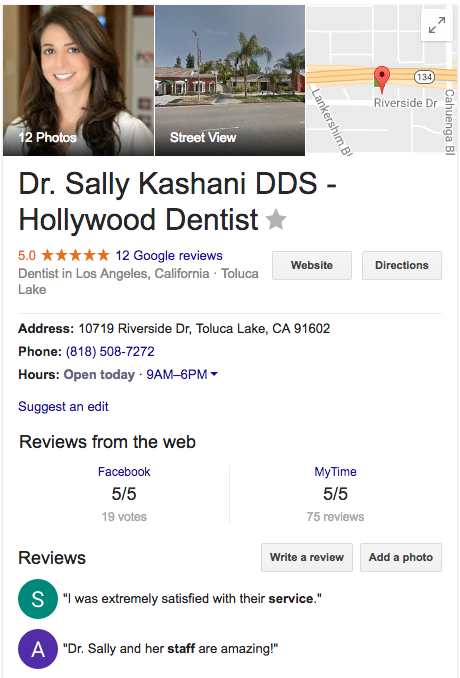 So, good online reviews can boost your local SEO strategy. Now that you know how important your online reputation is to building a successful business, how or where do you start with creating a good one? Facebook – There are over 1 billion active users on Facebook today. This is the biggest social media platform available, giving you an opportunity to reach an incredibly large number of people, not only through reviews, but also sponsored/paid ads. Sometimes, these websites use publicly available data to create a page for your business. So if you find one that already exists, simply claim it for free. Once you create or assume ownership of the pages, you can monitor incoming reviews and respond to them as the official representative of the practice. After setting up your business pages, you should monitor any reviews posted on them. It can be hard to keep track by yourself and still run your business, so consider assigning one of your employees to monitor all three (or more) platforms for incoming reviews and mentions. Instruct them to promptly and appropriately respond to reviews as soon as they’re made to avoid bad reviews from going unnoticed and unaddressed. Keep in mind that if there are any online platforms in your local community where people review and comment on local businesses – like a city-of-commerce website or local business directory – it should be monitored as well to connect with local area residents. 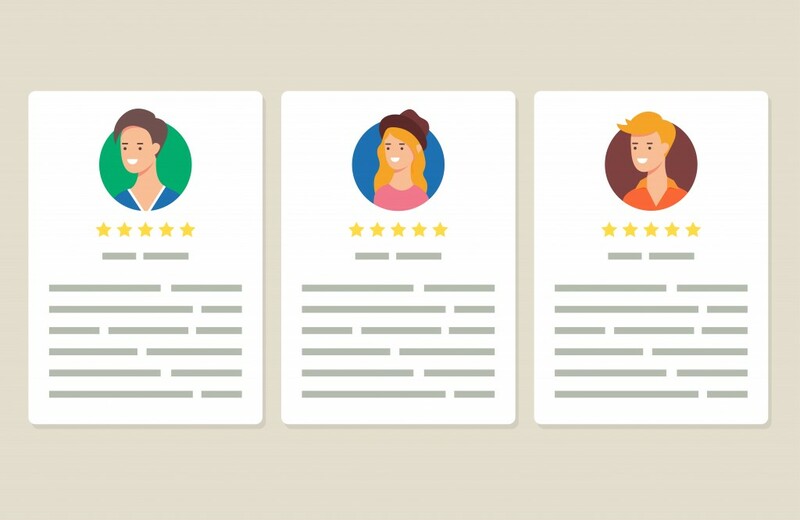 When you know that your business is providing a unique and pleasant experience for your customers, you should encourage them to leave positive, five-star reviews of your practice. Ask your highly satisfied customers directly to review your business, but don’t instruct them what to say or take it personally if they don’t. When your clients take time to review your business, it is important to acknowledge their opinions. This will not only make them happy, but also present you to prospects reading those reviews as a courteous and professional business that values feedback, whether positive or negative. It is important that you be genuine in your response. Don’t simply copy-paste one generic response. Instead, personalize each response according to the feedback provided. Finally, always respond to negative reviews as well. Studies show that 86 percent of online consumers like to hear from a company regarding a complaint or negative review. So, take your time to respond thoughtfully, demonstrating how much you value your business, and how you solve potential problems for your clients. Investigate any complaints before responding, and if need be, resolve serious problems in private before mentioning on the review that the problem was addressed. 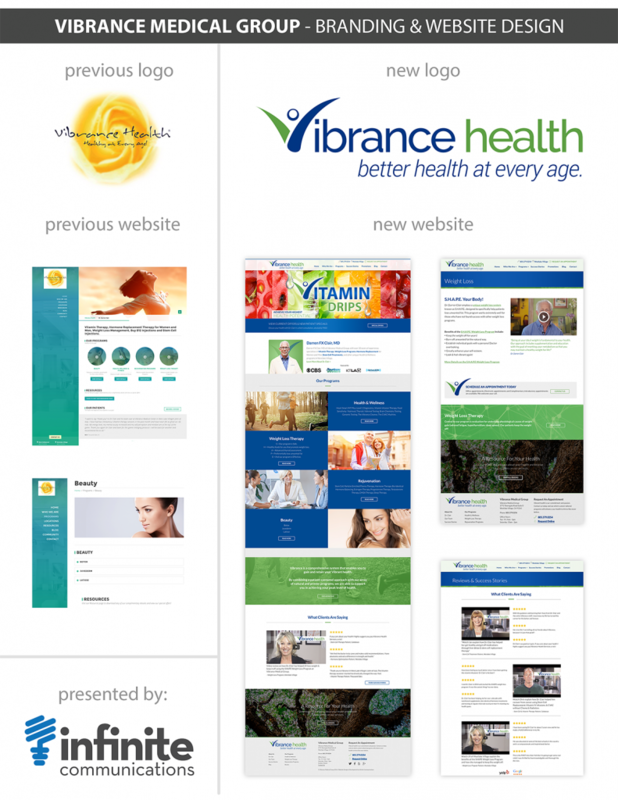 Leading health and wellness medical practice, Vibrance Medical hired Infinite Communications for a rebranding & marketing campaign. With a vision to enhance his practice brand and website, Dr. Darren Clair collaborated with our team to implement a strategy that intrigues the community to take advantage of his progressive healthcare approach. The campaign includes a logo refresh as well as a new responsive website with search engine optimization and monthly marketing. The website features Dr. Clair’s abundance of success stories, appearances on national television, as well as detailed and visual breakdown of his unique programs such as his acclaimed weight loss program in Westlake Village. 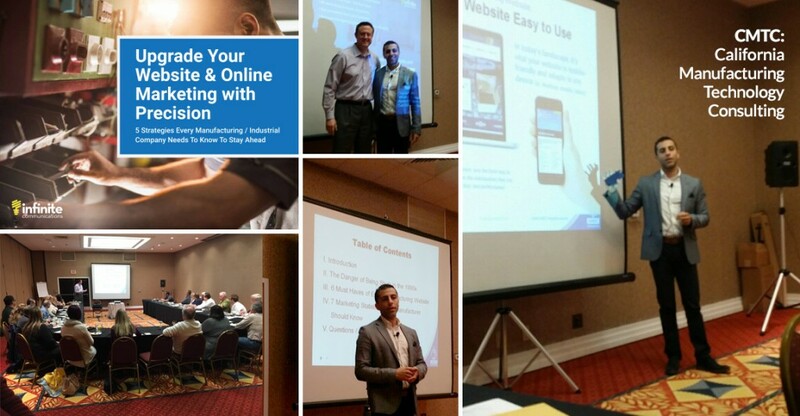 A few weeks ago I was invited by the CMTC – California’s trusted resources for a thriving manufacturing industry – to present on topics related to website design and Internet marketing. Infinite Communications and CMTC have partnered together to educate business owners within the industry on the ideas and strategies to ensure they stay “ahead of the pack” in these fast-changing times. Below are some startling statistics I shared with the group of over 30 advisors, consultants and team members who service manufacturing clientele ranging from small mom-and-pop business to large corporations with hundreds of employees. 1. 56% of industrial professionals don’t contact a vendor until they compare & evaluate a vendors through a supplier’s website content. People are no longer searching yellow pages or Thomas Net’s old directory, but instead are looking for information on your website. 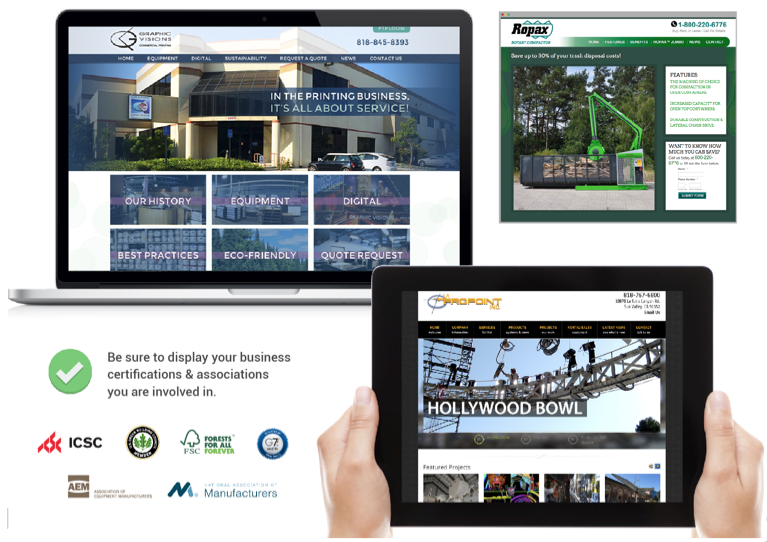 Is your website current with the latest information of your product & service offerings? 2. 83% of buyers review up to three pieces of content before making a decision on an industrial purchase over $1,000. In today’s information age, every prospect is looking to get better educated before they make a purchase. By creating more valuable content – text, white papers, blogs, videos, infographics, case studies, testimonials – to educate your target audience, you are tipping the scale in your favor. The best way to do so is to take an Integrated Internet Marketing approach. 3. 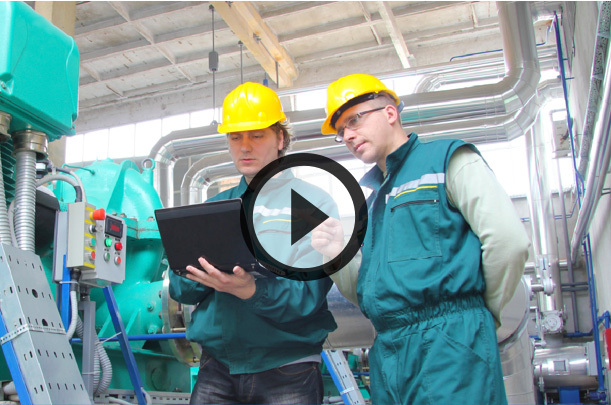 84% of industrial professionals use the Internet to find components, equipment and services. Virtually all of these industrial professionals are using search engines to look for such materials and services. 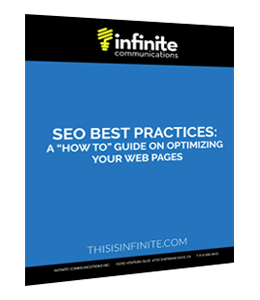 Make sure your website is optimized with SEO Best Practices. And if you are currently hiring an SEO company, be sure to Know What You’re Paying For With SEO. 4. 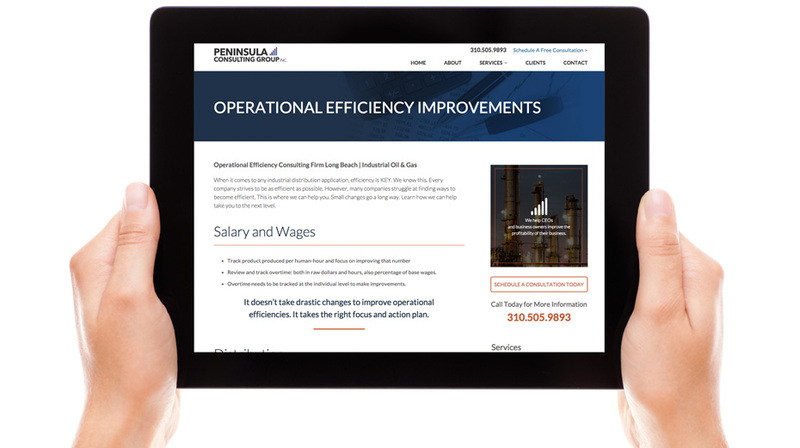 70% of industrial professionals use search engines when comparing and evaluating potential suppliers. Google,Yahoo and Bing are all search engines and are the first place prospects go when evaluating you and your competition. The manufacturing industry as a whole has yet to take full advantage of SEO (Search Engine Optimization) strategies, and the businesses who start to dominate search rankings will see an significant increase in new website traffic and new lead inquiries. 5. 78% of people watch videos online every week. YouTube is the second most used search engine in the world. That is a clear indicator that people – including your prospects – want to consumer more video content. 6. Manufacturing marketers cite video as their top content marketing tactic. Nowadays, a successful video marketing not only includes the creation of a highly engaging & informative video, but also the distribution of that video through multiple online platforms (ie. YouTube, Vimeo) to ensure it’s getting the most online reach. 7. Top 3 social media sites used by manufacturing marketers are Facebook (77%), YouTube (67%) and LinkedIn (61%). It’s important that manufacturing companies stay true to their unique value proposition, and utilize the proper social media channels to not only promote that message, but more importantly engage with your target audience. 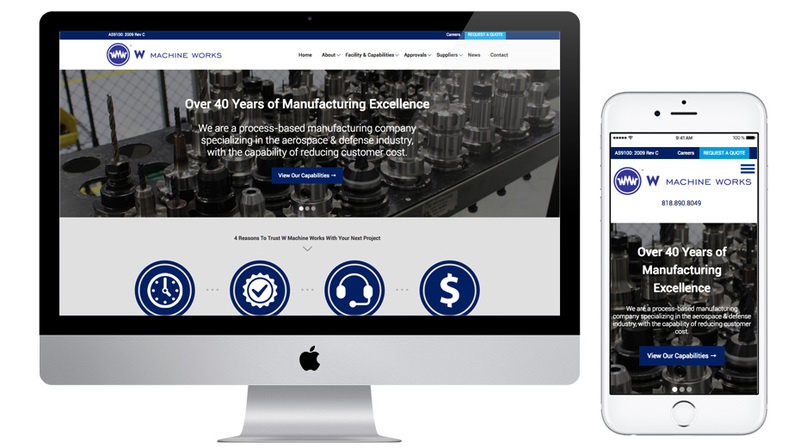 Our marketing firm, Infinite Communications, has been working with Manufacturing & Industrial companies for the last 8 years, helping them increase revenue through improved online communications, including: websites, search engine optimization and much more. Please contact me at Kayvan@www.thisisinfinite.com or 818.990.9843 to learn about how we can help you. Manufacturing Day℠ is a celebration of modern manufacturing meant to inspire the next generation of manufacturers. Click Here to learn more about how you can get involved.